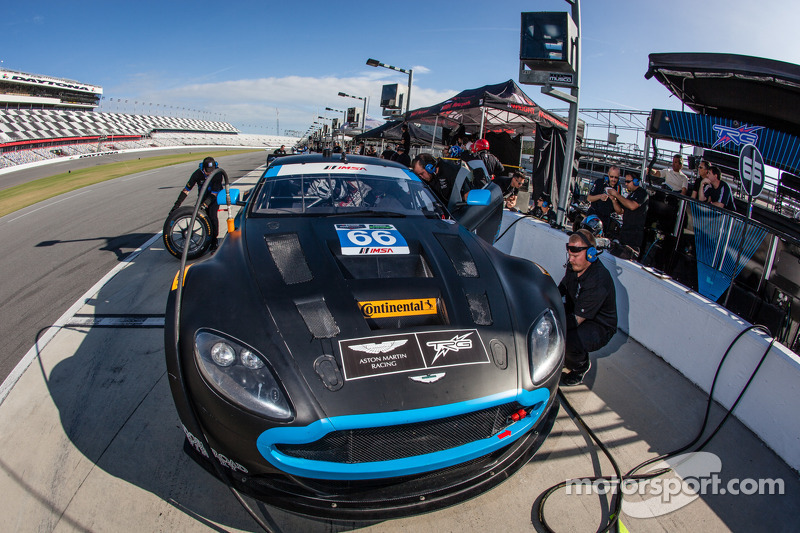 Driver lineup confirmed by TRG-AMR North America to contest the GTD class in the TUDOR United SportsCar Championship. PETALUMA, CA – December 3− With excitement and high expectations, TRG-AMR has confirmed its first entry's driver lineup in the GTD class. The Aston Martin V12 Vantage GT3 will be driven by David Block, Al Carter, and James Davison. This lineup for the 2014 TUDOR United Sports Car Championship comes after extensive recent testing for the V12 Vantage GT3 and for a number of potential drivers for the TRG-AMR North American program. The testing program that the team undertook allowed for all involved to see the great potential with the GT3 and this first driver lineup will make for a formidable team in 2014. David Block is a Midwest native who currently resides in the Cleveland, OH area. 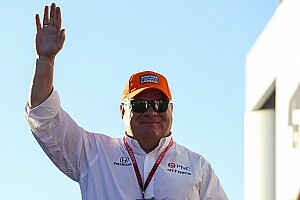 He has been involved in motorsports on and off for many years. 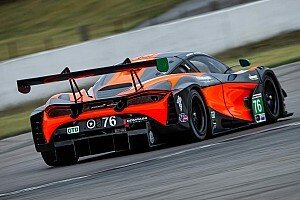 Block most recently returned to motorsports and competed in a variety of racing activities over the past two seasons with special emphasis on the endurance races, in order to prepare to make a debut in GT class racing at the TUDOR USCC level. After evaluating a number of platforms in 2013, Block met with TRG-AMR team owner Kevin Buckler. Buckler arranged for Block to make an initial test late in 2013 to get a feel for the V12 Vantage GT3. After extensively testing the GT3, Block was convinced that the opportunity to drive in this most competitive platform for one of the most successful teams in GT history was definitely the way to go. 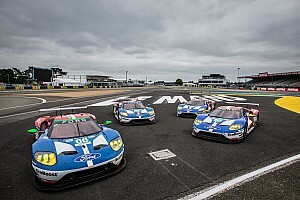 Block will drive in all four of the North American Endurance Championship events for TRG-AMR and be running for the four race endurance championship. Al Carter is a native of Delaware who currently resides in Greenville, DE who has extensive GT racing experience in the past five years. He has two Skip Barber Masters championships under his belt and has competed in a variety of classes in the past five years of racing including World Challenge, Continental Tire GS and ALMS GTC. Carter raced for TRG in selected events in 2012 and 2013, taking a second-place podium at Mid-Ohio in his first race and winning the competitive Baltimore Grand Prix. Carter competed in select races in 2010 and full time in 2011, 2012, 2013 in the Continental Tire GS class. He was always a frontrunner and challenging for a victory. He targeted 2014 as the season to make a full season assault on the GTD series championship. After meeting with many of the GTD teams entered for 2014 in a variety of competitive marques, Carter decided that the combination of TRG-AMR and the V12 Vantage GT3 would give him the best chance to compete for race wins and the series championship. Carter will be competing in all 11 TUDOR United Sports Car Championship events. James Davison is a native of Australia and moved to the United States to develop his skills in open wheel racing. His career highlights include a 2005 victory in Formula BMW at Indianapolis Motor Speedway, a runner-up finish in the 2007 Star Mazda Championship, and a further runner-up in the 2009 Indy Lights Championship. Among the drivers Davison has competed and won against include North American young guns Dane Cameron, James Hinchcliffe, and Charlie Kimball. He competed in Grand-Am Daytona Prototype for MSR and Starworks in 2011. He also drove IndyCar for Dale Coyne Racing in 2013 with an incredible drive at this year's Sonoma IndyCar race. Davison drove into a top 10 position before a late race incident that was out of his control ended his run. In his limited time in sports car he has always been at the front. After an impressive debut for TRG-AMR at Lime Rock in the Vantage GT4, Davison spent time testing with TRG-AMR in both the V12 Vantage GT3 and Vantage GT4. He and Buckler realized it was a good fit. They now look forward to teaming with Block for the NAEC and with Carter for the full TUDOR USCC season. Kevin Buckler on the driver lineup announcement: "I could not be more excited about our announcement today. It was nearly one year ago when we started this program and so much has happened. We are now ready to step into the big ring in the TUDOR United SportsCar Championship and we have assembled a winning team. The Aston Martin V12 Vantage GT3 will be a formidable competitor in this year's championship and should be a fan and media darling alike. This is the dream team of drivers for us as well. David has worked so hard to get where he is and is ready to jump in. His driving and his testing programs have been fantastic and he is committed. He has been focusing on his endurance and his understanding of the sport with a special emphasis on the endurance racing. He and I have become racing partners and good friends and I'm really looking forward to welcoming him to our team this year and to running after the North American Endurance Championship with him. "We have worked very hard on deciding who to bring in as our new “house pro”. And after months of considerations, dialogue and extensive testing, we are pleased to announce that we have signed open wheel stand-out, James Davison to our squad. James hails from Australia and has made one heck of an impression on all of us. He has been fast and clean and is a thinking driver and has carried that forward in all of his drives to date. We are happy to bring some new outside talent to our paddock; and this might surprise a few people, but everyone knows how well we know these programs and what the requirements are for these drivers at this level. James is a perfect fit for our team and will soon be a household name in the GT ranks. "Signing Al Carter as part of our winning squad was really the final piece of the puzzle to put together a real run at this year's championship. We have a most amazing opportunity with this new brand and all of our years of winning in GT, but having Al on board to help “close the deal” will put a shot at the championship front and center for us. Al and I have been friends for years and he has driven for us multiple times with a fantastic drive at Mid-Ohio (2nd) and Baltimore in 2012 to win the ALMS race. He is probably one of the most underrated professional drivers out there simply because he started late, but last year people started taking notice. He qualified, started and ran his car up front at many of the races last year and impressed a lot of people, especially us. Al is fit, smart, and especially fast and is going to have his chance to run in a top-level GTD program surrounded by a highly motivated team that really want to win. I can't think of a better combination." David Block on joining the team: "As we near the beginning of an exciting new chapter of road racing in America, I feel like I could not be with a better team than with TRG. Their long winning history in a variety of cars, coupled with Aston Martin's amazing V12 Vantage, and our driver combination with professional drivers James and Al, will all go towards our effort to win the first USCS Championship, starting with Daytona. This is a life long dream and goal being realized, after a lot of hard work, diligent preparation and training, which could not have come together without the continuous efforts of Kevin. I am eagerly awaiting the start of 2014 at the Roar, in preparation for the 24!" James Davison’s perspective: "I am really pleased to be joining TRG-AMR for the 2014 season. Along with the prestige of the Aston Martin brand, Kevin Buckler's success is second to none and I fully intend to repay the faith he has put in me. I am also excited to be teaming with Al Carter and David Block. Both Al and David are great guys and great drivers on track. Our recent Sebring and Daytona BOP tests were really productive and I can't wait for it all to begin next year at the Rolex 24." Al Carter on his season run for the GTD Championship: "With TRG, their race history, performance, and trophy case speaks for itself. Having some previous opportunities to run some one-off races with Kevin Buckler and TRG previously in ALMS, all we did was run up front and scored some podiums, along with my only professional win. I’m truly honored and excited to be given the opportunity to race TRG’s new Aston Martin V12 Vantage GT3 for the full 2014 year alongside James Davison and David Block in the newly combined TUDOR USCC. Joining with the iconic brand like Aston Martin and TRG has certainly excited my B+ Foundation and Jetset Magazine sponsors, who can’t wait to slap their decals on our Vantage. The 2014 GTD class is stacked with competitive cars, drivers and teams, and I think our TRG Aston Martin will be right there. Looking forward to turning some heads this year."